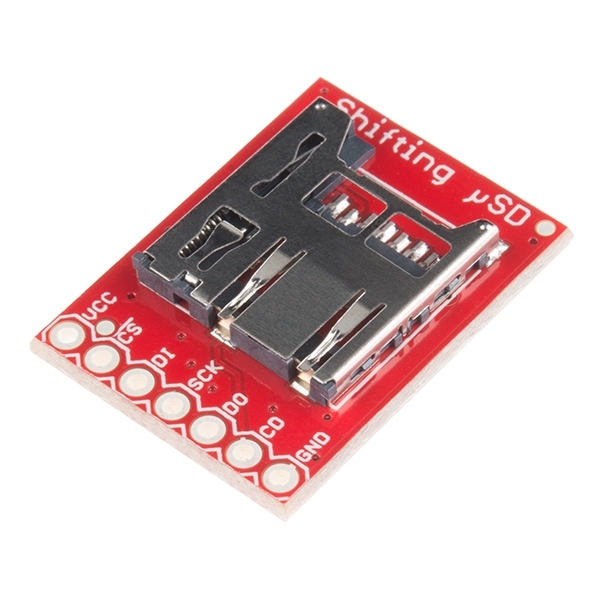 The SparkFun Level Shifting microSD Breakout is quite similar to the SparkFun microSD Transflash Breakout, but with the included level shifting hardware, this board allows you to utilize a microSD card at Arduino’s SD library’s top speed on a 5V system. 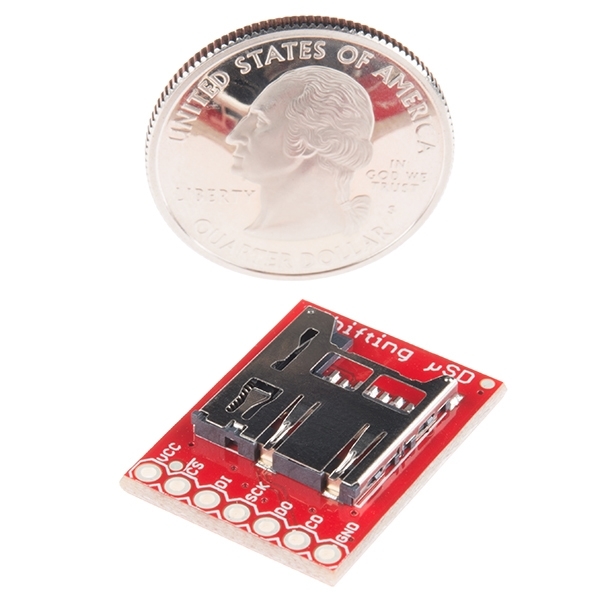 With this small breakout board, that is not much bigger than your fingernail, adding mass storage to your project will never be easier. 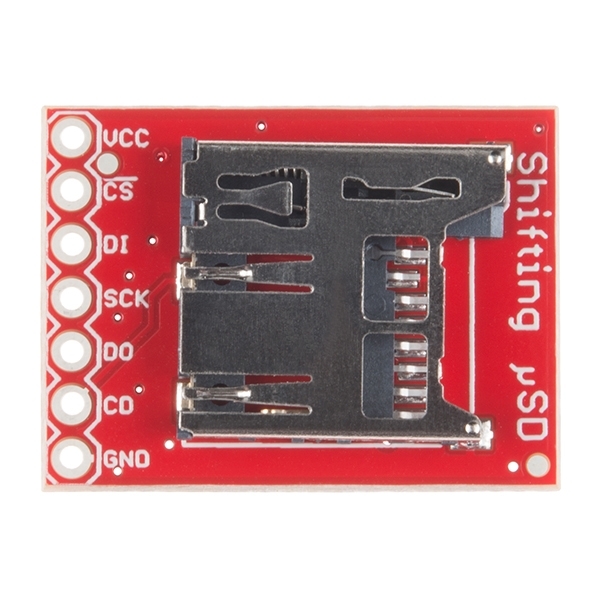 With the additional feature of being 3.0V to 5.0V tolerant for ease of use, discrete level shifting is no longer required. 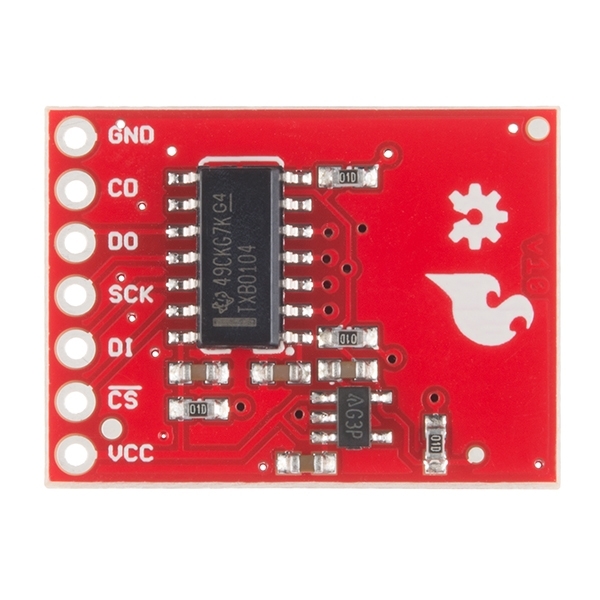 This breakout is also a bit unique in that it level translates all of its outputs back to the level of the hardware it’s connected to.